What a good idea!!! Thanks for sharing! Gorgeous... I love this project!!! Wow! That's a great project! Wow, what a great idea and your paper wreath turned out amazing! 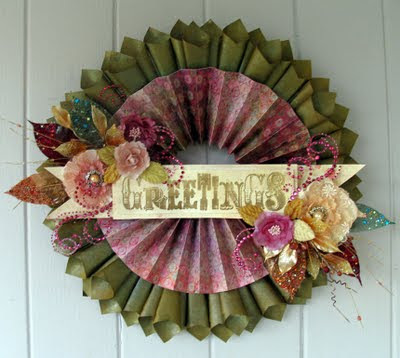 What a great wreath, I would love to try making one of those. Thanks for the inspiration. Cari, I love your wreath idea. Gorgeous! That is too amazing! I can already see so many possible ways I can try this! My mom always wants a wreath on the door for holidays but they're so expensive we only have one. Now I can make my own and change them for different holidays! THANK YOU!! WOW! That is a stunning piece. It is so, so beautiful. 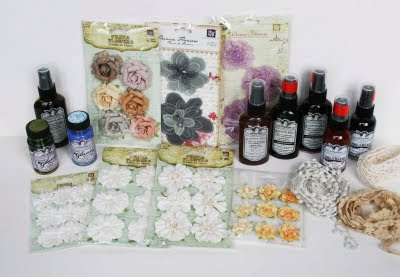 Great holiday project...love the flower groupings. Cari~ I love your door hanging so much!! You are so talented and inspire me so much along with all of the other team members. For without you guys I would not be pushed to my creative limits!!!! Thanks so much!!! Such a pretty wreath! Love the design and all the embellishments! Wooow!!! It is gorgeous!!!! Just love it!!! Gorgeous Cari! 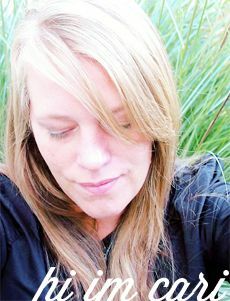 I've been thinking a lot about you wondering how you faired with the weather from Irene. I know you are in upstate New York somewhere, but wasn't sure if your area was hit with flooding. Thanks for sharing your wreath it is really beautiful. I've never tried to make anything like this. Oh my, I haven't seen any wreaths quite like this out there and WOW didn't know you could use glimmer glam to paint crystals! Woot! TFS!! Your wreth is stunning in everyway possible!! making one for Christmas forsure!! Super cute wreath! Love the idea of using the packaging from other products. you are ridiculously talented. i love that wreat! wow - it's beautiful. 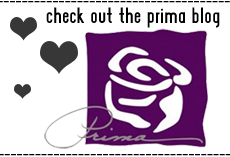 Prima is unfair to make us pick one we like - lol (I love all prima). Cari--You are a genius! An artiste extraordinaire! I want to make this wreathe and give it as gifts this year! And hang one in my home!!!! Thanks so much for the inspiration. BTW-I LOVED your music!!! I didn't want to leave your site because I knew I'd have to stop listening to your songs! Who was the artist who sang the first song-that was my favorite! Beautiful Cari !! YOu rock my friend!! Cari this is stunning!I am definitely checking out the video-I want to try making a Halloween wreath using this idea. Cari love this project you can just send it to me.LOL!! Love the way you have coloured the packaging to create those olive scrolls. Cari... another gorgeous photo! Loved seeing everyones ideas!!! What a wonderful project I love the colors, Thank you for sharing it. wow! 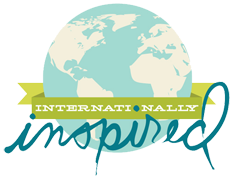 truly incredible! how creative!! Oh Cari, your wreathe takes my breath away!!!!! This is simply beautiful, and the details are amazing! Sush a Beautiful project Cari! Awesome Cari. Just beautiful. I couldn't spare that much paper for one project and still sleep or I would so lift this for my door. 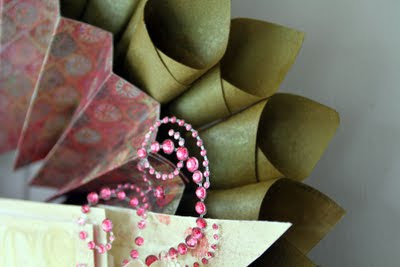 I think this idea will be lifted for my Christmas front door decoration this year - so pretty! Cari-this wreath took my breath away....fabulous and beautiful!!! thanks for sharing, always love chatting with you on Prima Ustreams!!! It's beautiful. I love this project . ooh, I love this!!! so lovely!!! What a gorgeous and creative project... I just love this! You have a really cute site and I'll be back to check you out more... love the Mary Jane's! 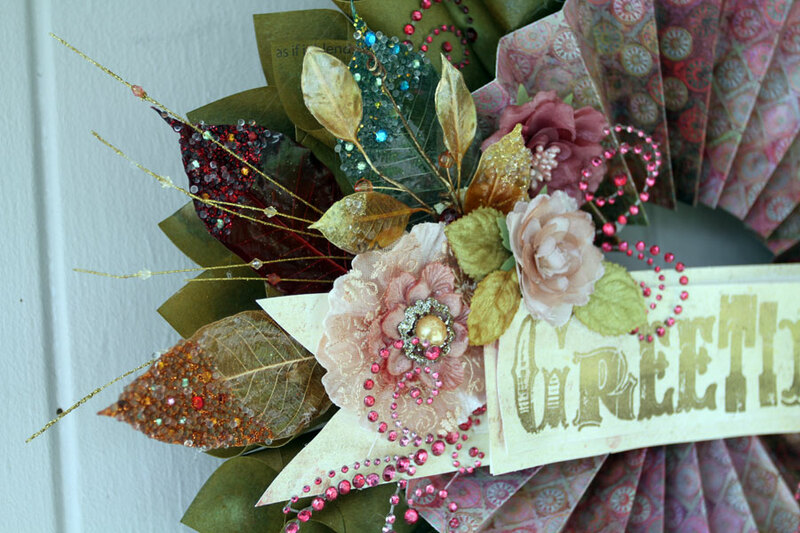 Love what you did with the Glimmer mist and Prima products....Gorgeous wreath! As always super fab wreath love the color combo Cari.